Sol-Tech srl Solution Technology is a company that provides advanced and flexible solutions for heat exchangers, air cooling systems, cooling towers, refrigeration units, cooling and heating systems, energy recovery systems and thermostatic control systems for industrial processes including custom-built solutions. Other cooling and heating systems for the industrial sector, thermal exchangers, energy recovery, thermo-regulation and thermostatic control over industrial processes. Consultancy on the choice of the most appropriate solution based on the requirements of the process involved. We represent companies of the highest level both nationally and internationally operating in the sectors of heating, cooling, thermo-regulation and thermostatic control of industrial processes. We operate in a variety of sectors such as: chemical, pharmaceutical, petrochemical, energy (co-generation, trigeneration, thermal recovery), metalworks and many others. We rely on trusted workshops (specialised in carbon steel and stainless steel) for the production of skids, systems or parts of systems designed for cooling, heating or thermo-regulation of industrial processes. 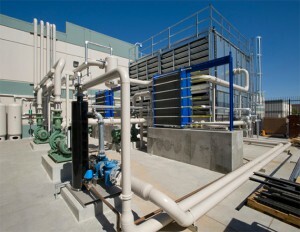 We have a long-standing experience in the field of heat exchangers and industrial heating and cooling systems. We are quick to find solutions to our Client’s requirements. We operate on the market with the greatest of flexibility, often going as far as designing custom solutions specially suited to fulfil the requirements of each of our Clients. If you are interested in our heat exchanger or cooling and heating systems you can get in touch with us using the form contact us or by calling 348 6925260.